Team Nokota®! 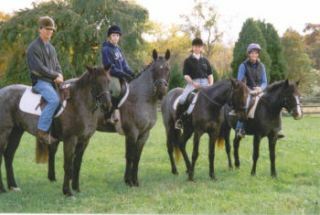 - Nokota Horse Conservancy, Inc.
​Team Nokota! is an organization of Nokota® owners, supporters and volunteers that has joined forces with the Nokota® Horse Conservancy in our efforts to preserve the rare Nokota® horses - the Native Horse of Northern Plains and North Dakota’s Honorary State Equine. ​The mission of Team Nokota! is to promote awareness of the breed and raise revenue for the Conservancy. All revenue generated by Team Nokota! goes directly to the Nokota® Horse Conservancy and the care of the horses. Raise revenue for the NHC through donations, sponsorships and merchandise sales. Promote awareness about the Nokota® horses by participating in both equine and non-equine events alike.